Finally the Nano project would be moving out of Bengal. It is a very unfortunate thing to happen. Today when the rest of country talks about globalization, attracting foreign investments and job oppurtunities into the country, this is what goes on within this state. Selfish power-hungry politicians with no political ideologies take upon themselves to decide the future and fate of Bengal. Ratan Tata holds Mamta solely responsible for the groups decision to move out of Bengal. It sets a bad example for future invertors. Who would want to take the risk of setting up an industry in Bengal , a state whose reputation is already marred by the frequent bandhs, called by the political parties every second day. It is a loss for the growth of industrialization in Bengal. The politicians should rise above their selfish political battles and work towards the upliftment of the country. They should realise that a country cannot grow unless it is open to industrialization. They need to create a investor friendly environment if they ever dream of making India an economic super power. Its sad that Nano will not be rolled out from Bengal. Today Mamta would be happy , her battle is won, but the whole of Bengal stands to lose. Agree completely. Mamta can feel happy for now, but I think she is clearly missing the big picture. Her agitation appeared to be more of a vote-grabbing exercise keeping the elections due in 2009 in mind than being a genuine issue-based agitation. I won't be surprised if she ends up with a LESSER vote share next year. Bengal's credibility has taken a beating for sure. 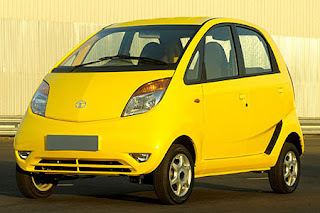 At the same time, I feel the credibility of Tata Motors has gone up. Ratan Tata has upheld the legacy of the group by not bowing to political arm-twisting. Maybe some industry critics will blame him for choosing Singur in the first place when he had option of other states. What happens in the long run - only time will tell ! U r right pushkaraj, the real motive behind all this drama is the coming elections. Voters would be wise enough to see through all this dirty political dramas. Lets see, by how big a margin they lose this time..